Choosing between fitness trackers can be confusing. We're here to help. Wearables, as you may have heard, were all over CES 2014. Glasses, socks, smartwatches, they were everywhere. Fitness trackers accounted for a significant portion of the wearables at the show, and we began to wonder, with all of these coming on the market, how do you choose which one is right for you? We think the decision starts with figuring out what, exactly, you want to monitor, and how you want that information parsed and reported back to you. Basic fitness bands are, primarily, pedometers. They track number of steps taken, distance, and calories burned. Most also track sleep—how long you sleep for and the quality of your sleep each night. Some have additional features like vibrating alarms and LED displays. The Fitbit and Nike Fuelband were among the first popular fitness bands. The bands at CES 2014 took the basic tracker concept and tried to do something that set them apart from the pack. In some cases they were successful; in other cases, not so much. Epson's Pulsense PS-100 band and PS-500 watch track the usual steps, sleep, and calories. They also track continuous heart rate. To us, it looks like the PS-100 and PS-500 are going to be just another set of fitness bands... from a printing company? We're skeptical. Wellograph’s Sapphire Wellness Watch is another basic fitness tracker plus heart rate monitor, minus sleep tracking. What really sets the Wellness Watch apart from other fitness trackers is its design. It looks like a luxury watch, that just happens to track fitness data. It is hard for us to imagine exercising while wearing this watch, but perhaps for consumers who wear larger watches on a daily basis it would feel right at home on the wrist. Many of the wristbands at CES this year offer new ways to process your data aimed at better motivating wearers to improve their health. The JayBird Reign has basic tracking technology, with a few important changes. It analyzes your motion to see which activity you’re doing (running, biking, etc) instead of just logging any activity as steps. The Reign's corresponding app gives you targeted advice, both for sleep and fitness. For example, it will tell you to go to bed two hours earlier than normal if you have a significant sleep deficit. The app also monitors and alerts you when you enter the "Go Zone", a time in the day when your body is ready for exercise. The Go Zone is based on your heart rate variability, which it reads when you hold your finger on top of the band for two minutes. The Garmin vívofit was also introduced at CES 2014 and operates on a similar principle, that collecting and parsing data isn’t enough to motivate people to change their behaviors. The vívofit lights up a red LED if you’ve been inactive for an hour, nudging you to get up and take a brisk walk. The walking motion turns off the red light... for another hour. Vívofit's battery lasts over a year and you can view your basic stats on the band itself. 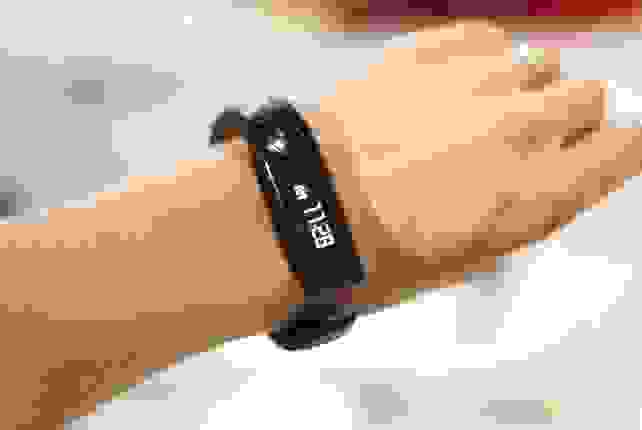 The band stores roughly a month of data; you have to push a button to wirelessly sync your data to Garmin Connect. Is long battery life a good tradeoff for having to remember to push a button to sync data? Hard to say. We don’t fully understand the science behind the Reign’s Go Zone, but even so, we’re inclined to think that we’d be more likely to get up for a short walk every hour rather than go to the gym when our phone tells us it's Go time. As part of LG's huge presence at CES this year, it introduced its new Lifeband Touch. The Lifeband Touch is a basic fitness band with an OLED touchscreen. The Lifeband tracks your steps, calories, speed, and even has GPS capabilities. You can scroll through your workout stats with a swipe of your finger. You can also control the music playing from your smartphone or see if a phone call is coming in. LG has developed a fitness program to work on a bluetooth-enabled TV in conjunction with the Lifeband. After spending a few minutes in the LG booth, we were impressed with the Lifeband Touch's functionality, especially for those who want a bit more data than the average tracker offers. We can also see the caller ID function coming in handy when you’re out for a run or your hands are full and you don’t want to dig in your pocket to grab your phone. Another product similar to the Lifeband that debuted at CES 2014 is the LifeTrak Zone R415. The Zone R415 connects to your smartphone to deliver call, SMS, and email alerts to your wrist in addition to tracking your steps, calorie burn, distance, and heart rate. It runs for a year without needing a battery change, gently wakes you when you are in your lightest sleep stage, and is waterproof to 90 feet. While the Lifeband looks similar to the Nike Fuelband the Zone R415 goes in the opposite direction with a watch face and watch-type band. The Razor Nabu is a tracker in a category all its own. Razor is a well-known brand that makes products for the gaming crowd—computer mice, headsets, computers. 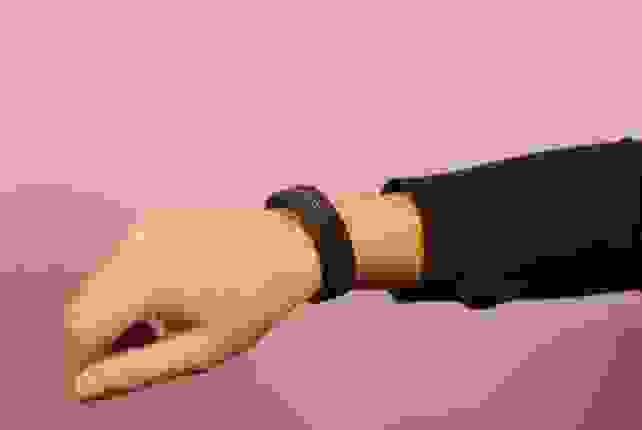 The Nabu debuted as a fitness tracker that is really all about social connection. The Nabu offers two icon screens, one on the top (the public screen) and one on the bottom (the private screen). The public screen displays a simple icon when you have an incoming phone call, text message, or email, or when you’re tracking your steps or calories. The private screen shows your detailed fitness data, caller ID, SMS, or email. A side button allows you to scroll through your private screen to see entire messages. Razor is positioning the Nabu as the “world’s first truly social wearable” because Nabus have the ability to communicate with one another. By doing something as simple as shaking hands with another Nabu wearer, you can, for example, send them your contact info. Or invite them to be friends on Facebook. Or connect on LinkedIn. Or, if you're focused on fitness, you can share your fitness goals. For gamers, Nabu has the additional feature of connecting with Razer Comms, Razor’s in-game VoIP network. With Nabu, Razor brings a completely new angle to the connectivity possibilities of the fitness band. However, we are not at all convinced that it will take off. In order for the Nabu to be successful, it needs widespread adoption by a large consumer base, and we’re just not sure it will have enough adopters. But we could be proven wrong. Some fitness trackers on the market highlight science and analysis over anything else. The Basis 2014 Carbon Steel Edition and Basis’ Advanced Sleep Analysis system were both introduced at CES 2014. Basis has a watch form, but it is focused purely on tracking and parsing as much fitness data as possible. It can detect what type of movement you’re doing—running, biking or walking. It analyzes your entire sleep cycle, noting when you enter into REM sleep, Deep Sleep, or Light Sleep, and develops a personalized sleep analysis and suggestions for improvement. Basis measures everything, including perspiration and skin temperature. 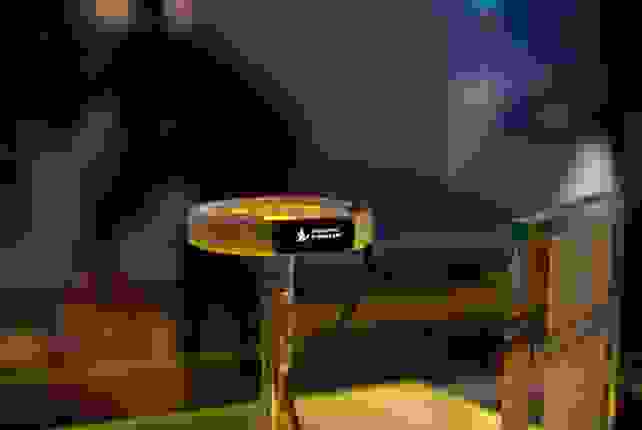 There were myriad other fitness-related devices shown at CES. Some are very specialized, like the Atlas, an on-wrist device created to track your gym workouts and report back to a real life personal trainer. Others are buttons that could be slipped into bands, like the Core from Sony that could be used with a SmartBand to turn it into a more traditional fitness band. The TAO WellShell is a portable isometric exercise disk. After you choose what you want to track, the next step is to pick your form factor. Do you want a fitness band that looks like a watch? Do you mind trading a thin band for a bigger display? How tight do you want it? These are personal preferences, and at this point, there are enough products on the market that you should be able to find the functionality you want in whatever form factor appeals to you. Remember, though, fitness trackers only work if you wear them, so pick one that you'll be happy wearing all day, every day. How Will You Get Fit? Despite the myriad options unveiled at CES, until we get a chance to test each one, we can't really recommend any one fitness band over another. For the moment at least, the safe option seems to be the Fitbit Flex. We'll keep an eye on the Lifeband Touch, though, and see what the other new products look like when they make it into production.